District Governor Bill Palko Comes to Visit! When the District Governor comes to town...Richmond Rotary pays attention! 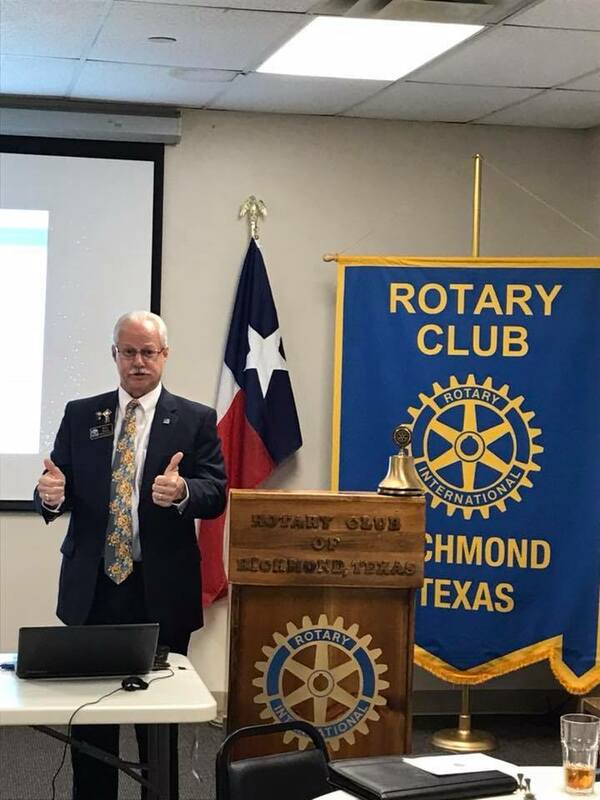 At our weekly meeting on Tuesday, January 23, 2018, DG Bill Palko spoke to us about spreading the word and influence of Rotary in our community. He also spoke about what Rotary means in his own life with a heartfelt personal story about a Rotary scholarship recipient. Thank you for sharing your vision for Rotary this year...we are excited to be People of Action who make a difference in our community!